KAMPALA– Court of Appeal has quashed the low court’s decision that had ordered the Kabaka of Buganda Ronald Mutebi to avail to a litigant with bank slips and titles. Mr Male Mabirizi dragged the Kabaka and Buganda Land Board challenging the registration of all tenants on kabaka’s land at a given fee thus seeking for orders to be availed with bank secrets and titles in order to prepare his case. 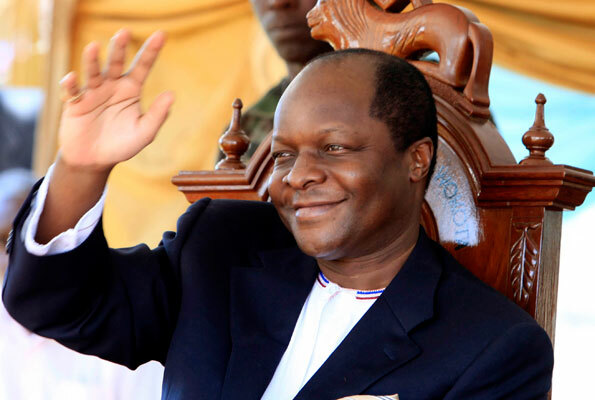 High court judge Patricia Basaza issued the order as sought for, however, the Kabaka appealed against the same. The 3 justices led by Hellen Obura suppressed the high court’s decision in favor of the kabaka saying that it was not proper because the sustainability of the main case from which this appeal originates is legally questionable. Other justices include Egonda Ntende and Ezekiel Muwanguzi. In their judgment read by the deputy registrar Agnes Nkonge, the justices noted that much as article 50 of the constitution gives a Leeway to bring an action of fundamental human rights, it must disclose facts to show how they have been violated but not using it in the enforcement of private rights. “Court cannot exercise their discretion to grant orders from discovery on oath and inspection when the main suit is not maintainable in law. The action was improperly brought before the trial court as public law action would, therefore, appear incompetent,” the justices ruled. Mabirizi has been now advised that in case he wants to get access to the land titles in question, he is free to go to the Land Registry where the original copies are kept and should use the ordinary ways available. The justices also ruled that it was not against any law in the matter where Mabirizi had accused the kingdom’s attorney general, Frederick Mpanga for instructing lawyers to represent the Kabaka saying that he (Mpanga) is the attorney general for Buganda government an institution headed by the Kabaka. However, the court declined to grant an order as sought for by the Kabaka to have Mabirizi deposit a security of Shs500 million before the hearing of the main case.